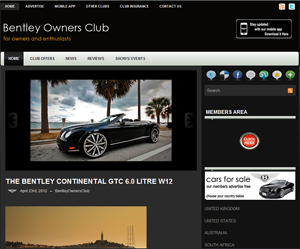 Bentley Motors Limited is a British manufacturer of luxury automobiles founded on 18 January 1919 by W. O. Bentley. Bentley had been previously known for his range of rotary aero-engines in World War I, the most famous being the Bentley BR1 as used in later versions of the Sopwith Camel. After the war, W. O. Bentley designed and made production cars that won the 24 hours of Le Mans in 1924 and following models which repeated those successes each June 1927,1928, 1929 and 1930.